Most cancer doesn't have to occur though. Lifestyle factors play a huge role in cancer risk. Alcohol, smoking, sun exposure, environmental pollutants, stress, infections, obesity, physical inactivity, and diet are responsible for 90%-95% of all cancers, while only 5%-10% are due to genetic defects.2 This is good news though because it empowers us as individuals to control our own destiny in regards to cancer risk. 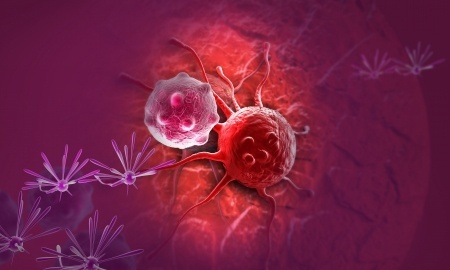 To learn more about cancer, check out the articles below. They contain information and resources on both lifestyle and conventional medicine to help you understand various options in the treatment and prevention of cancer. Milk - It Does A Body Bad, Really Bad! 1 Siegel RL, Miller KD, Jemal A. Cancer statistics, 2015. CA Cancer J Clin. 2015 Jan-Feb;65(1):5-29. 2 Anand P, Kunnumakara AB, Sundaram C, et al. Cancer is a Preventable Disease that Requires Major Lifestyle Changes. Pharmaceutical Research. 2008;25(9):2097-2116. 3 Aune D, De Stefani E, Ronco AL, et al. Egg consumption and the risk of cancer: a multisite case-control study in Uruguay. Asian Pac J Cancer Prev. 2009;10(5):869-76. 4 Aune D, De Stefani E, Ronco A, et al. Meat consumption and cancer risk: a case-control study in Uruguay. Asian Pac J Cancer Prev. 2009 Jul-Sep;10(3):429-36. 5 van der Pols JC, Bain C, Gunnell D, et al. Childhood dairy intake and adult cancer risk: 65-y follow-up of the Boyd Orr cohort. Am J Clin Nutr. 2007 Dec;86(6):1722-9.